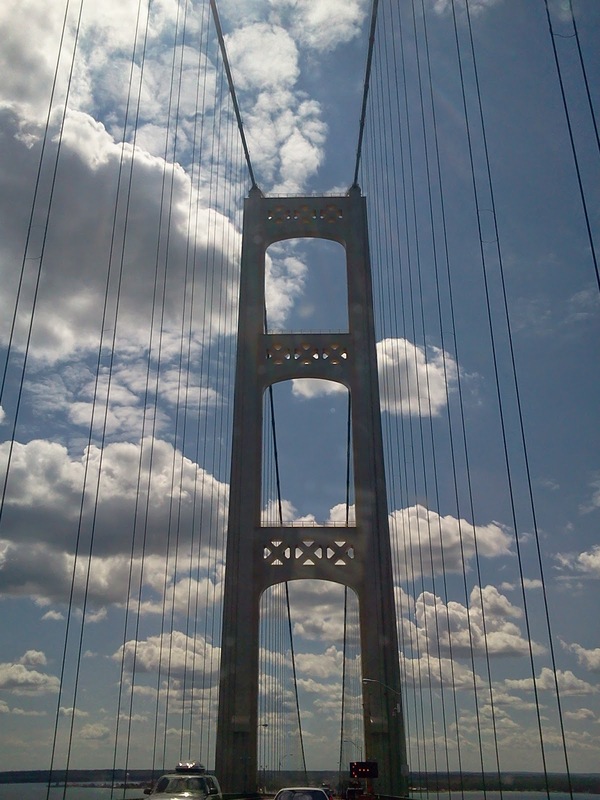 Tell anyone you’re going to be in Michigan and they will likely say something like “you must go to Mackinac!” (pronounced Mak-in-aw). 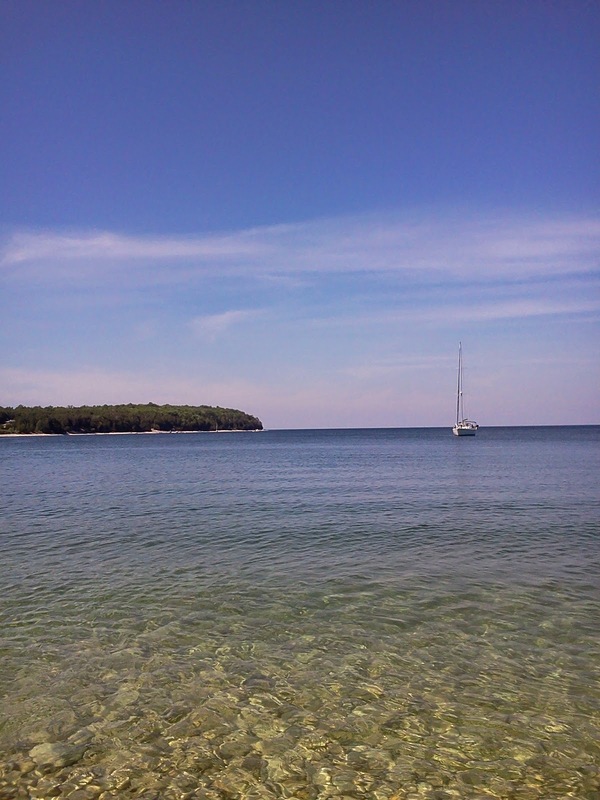 Or more precisely, Mackinac Island. Mackinac Island is about 8 miles in circumference, or 3.8 square miles. The entire island is listed as a National Historic Landmark with over 80% being part of the Mackinac State Park (and therefore, preserved). Getting it’s name from the earliest known inhabitants, the Anishinaabe (Ojibwa) tribes, Mackinac is shorted (Americanized) version of the name “Mitchimakinak”, meaning big turtle. That’s what the island looks like after all. It’s here that tribal leaders were buried. 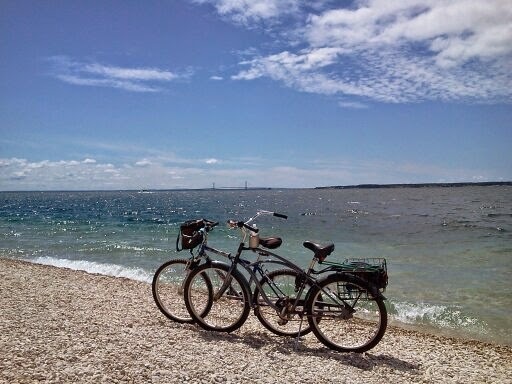 Okay, so the town of Mackinac (on the mainland) is alright. It’s very touristy and expensive. So expensive that we opted to stay at a local Indian Casino (Kerwadin) in nearby St. Ignace, instead of an RV park. It’s basically a parking lot but with 50amp service and water and set off to the side so you don’t have to deal with cars driving past you at all hours of the night. 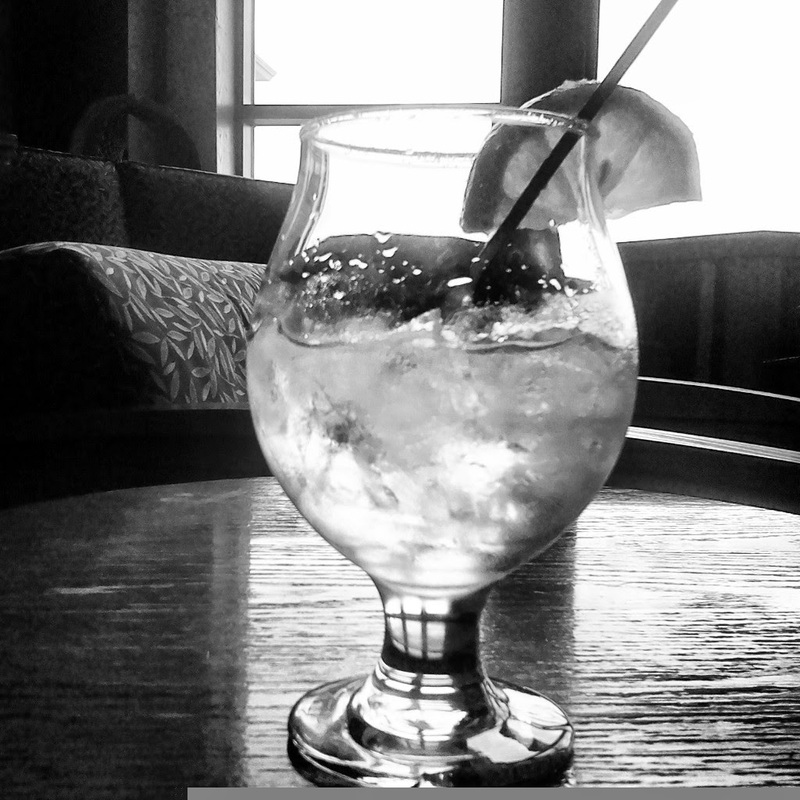 But the best part is…for about 3 minutes of your time you can get a players club card and they will comp your stay. Sure $10 isn’t much, but when you realize how expensive everything else is in the area you’ll be glad to save any money. Since Clark and I both got player’s cards we opted to stay for five free nights. Plus we got something like $20 in free play in the casino (and free hot dogs which Clark enjoyed, until later that night). I know what you’re thinking…”Aha! That’s how they get you!! Entice you with a free parking spot for your rig, get you to play the slots with their money and next thing you know you’re at the ATM getting a cash advance on your credit card”. Well, not to rub it in but as I enjoyed the lobby’s free wifi (this was before we got the Mellinicom Mifi) and strange version of a Lemon Drop (I think it was straight Lemon Vodka on the rocks) Clark was busy drinking free beers and winning $600! Cha-ching! One of his lucky machines. So, that took the sting out of the $23 per person PLUS the $9 per bicycle fee to take Star Line Jet Boat to Mackinac Island for the day. Horses and wagon on the docks picking up goods…just like the olden days. Here’s the deal. The only way to get to the Island is by boat (ferry or private), small aircraft or snow mobile (obviously only in the winter). To top it off there are no cars allowed on the island (except for emergency vehicles and I think there’s like 5 total). Everything else transported by bicycle, cart, horse or foot. Seriously…even luggage should you opt to stay on the island at one of the B&B’s or the Grand Hotel (Somewhere in Time was filmed there). The $9 fee to ensure our bike’s safe passage was well worth it. Although the island is small, it’s quite a trek if you want to tackle it by foot. And bike rentals are outrageous because, well, once you get to the island and find out you need a bike your kinda screwed…you’ll be looking at a minimum of $5 per hour. Pay the ferry fee and enjoy a ride all the way around the island. I’m not joking…bring your bike. 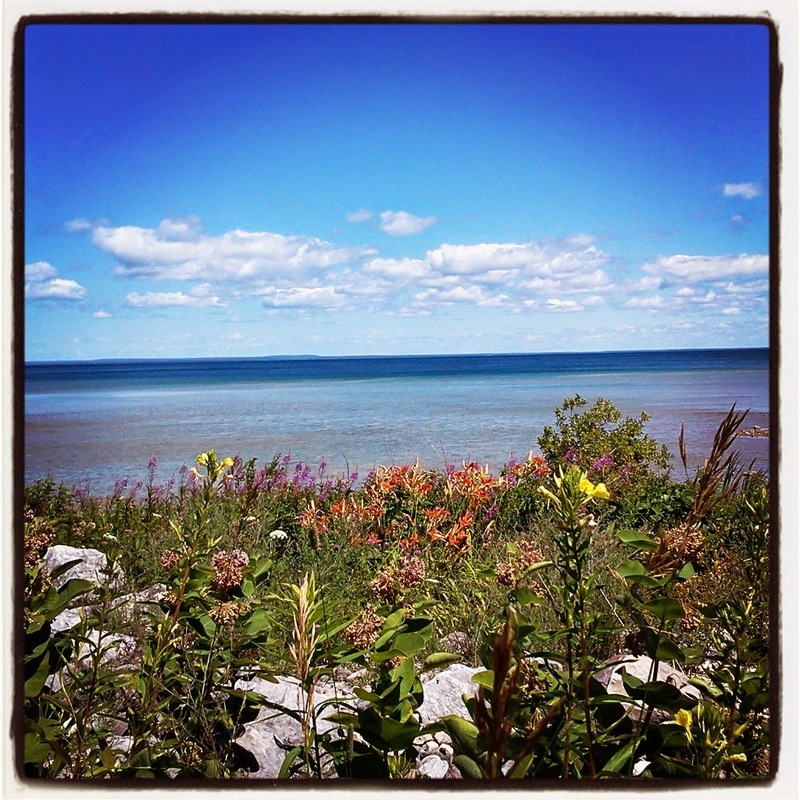 Your bike ride will take you through the state park with amazing views, floral and fauna. It’s only 8 miles and mostly flat(ish). The extent of my wildlife spotting. 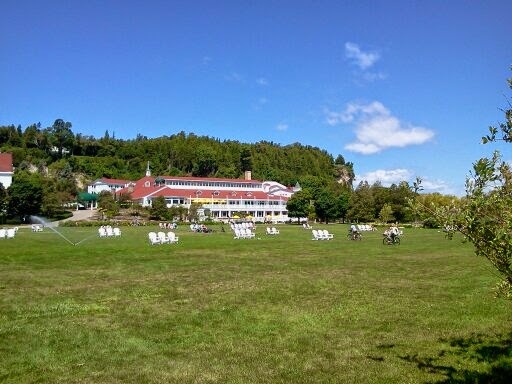 There are, of course, many boutique type shops and restaurants on Mackinac Island. 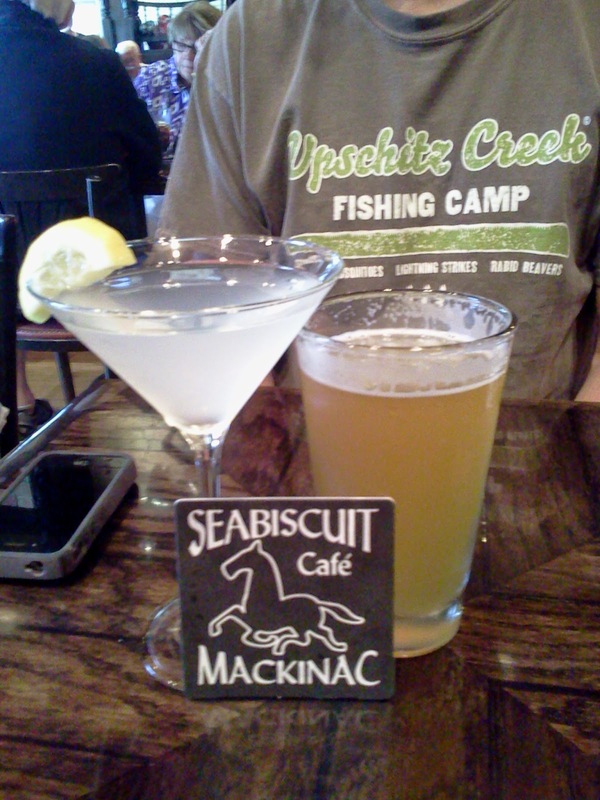 We tried the Seabiscuit Cafe and were surprised to see vegetarian and vegan options (especially after traveling though Wisconsin and the U.P. where lettuce is a foreign import). Clark loved his lobster BLT and I enjoyed some delicious falafel…with a proper lemon drop. Although we weaned ourselves off of the corporate teat known as Starbucks we did visit this one…I mean, how can you not?! The third floor of Starbucks which offers computer workstations (with electrical plugs) and amazing views. The construction workers were just finishing up the balcony. 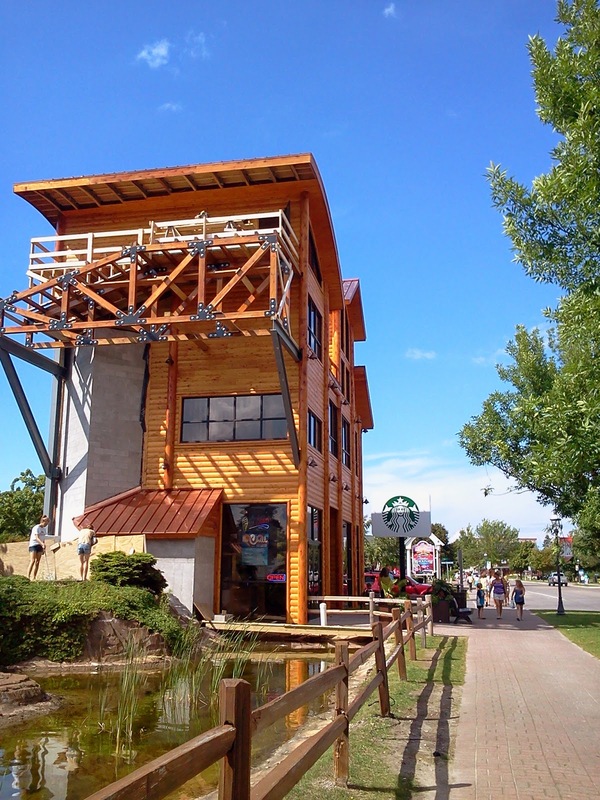 Back in Mackinac City (not on the island) we found the most spectacular Starbucks ever. It looked like a treehouse and offered an amazing third floor seating area for people to work on their computers or to take in the views of the island. 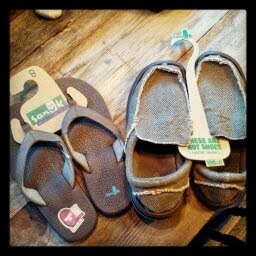 Speaking of Sanuk’s….it was this picture (below) I posted on Instagram from Mackinac Island that scored me a free pair and some super cool swag. Back in St. Ignace Clark had the best fish dinner he’s ever had (sorry to anyone who has ever cooked fish for Clark) at the Driftwood. 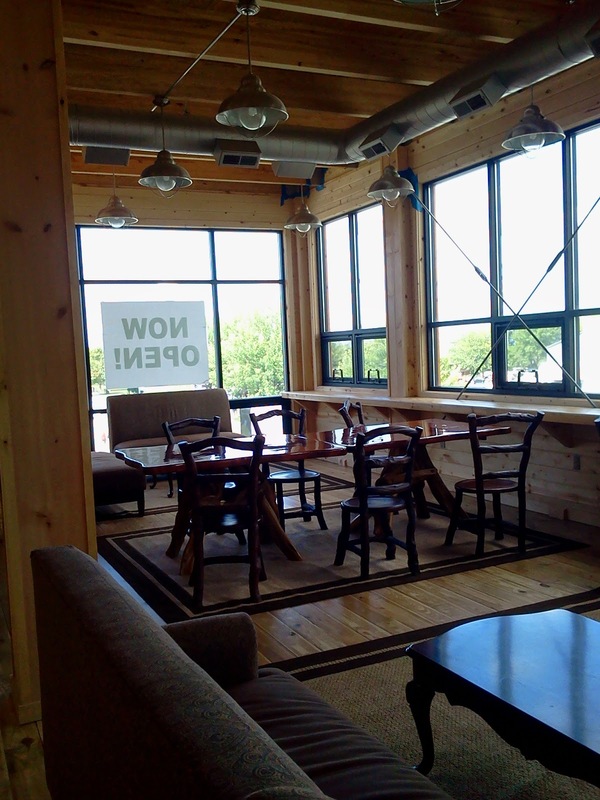 Sure it’s actually a motel, restaurant, sports bar and grill…but don’t let that fool you. The Planked Whitefish is, according to Clark, simply the best. They pipe mashed potatoes around the edges (it’s very fancy) so they get all toasty on top…and get a little bit of a smokey flavor. Here’s our Yelp review back when it was still fresh in our memory banks. You know you’re at Java Joe’s when you see this guy. 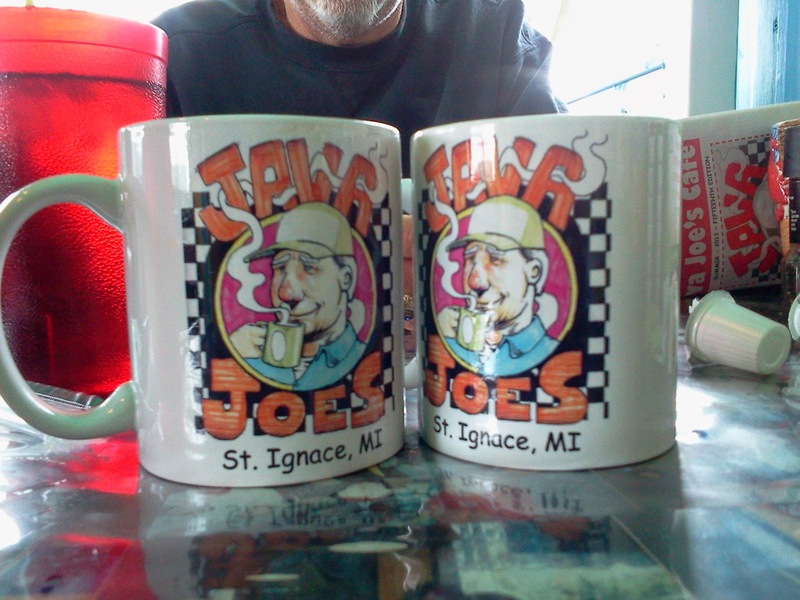 We also enjoyed breakfast and lattes at a local joint called Java Joe’s Cafe…and everything was excellent. Such a treat after being in the wilds of the U.P. where, desperate for something healthy to eat, I bought a big ol’ container of Quaker Oats at the gas station/grocery store/bait shop only to find that the “best when used by” date was 2011 (and you thought I was the one behind the time). I ate them anyway. 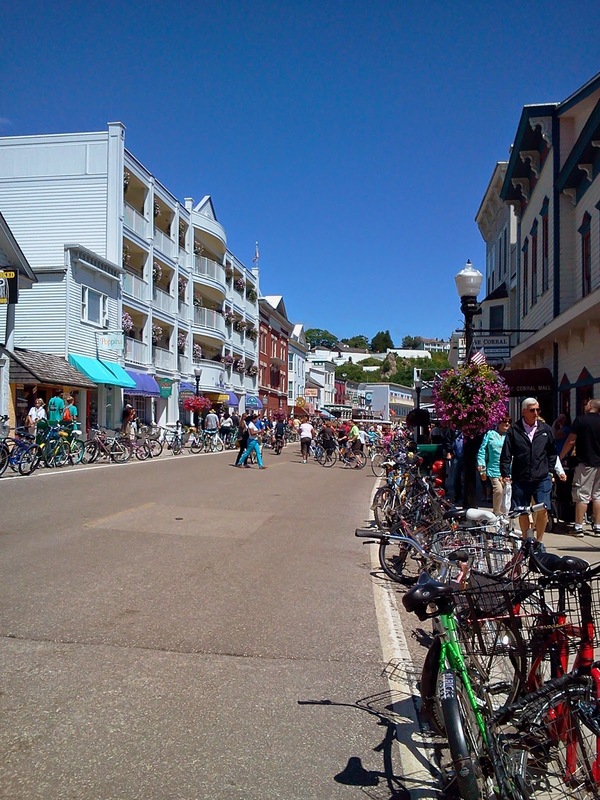 So hey…if you find yourself going to Michigan you must go to Mackinac! I had to read your post on Mackinac and it's funny to see some of the same random things we picked out like getting new pairs of Sanuks! My mom would have to agree with the planked whitefish at Driftwood (she's the only one who eats fish). We hope to cross paths sometime! How funny!! Sanuks are my favorite "shoe". I think I have 5 pair now which, in an RV, is a little excessive. Thankfully they take up so little space!! It would be great to run into you somewhere down the road. 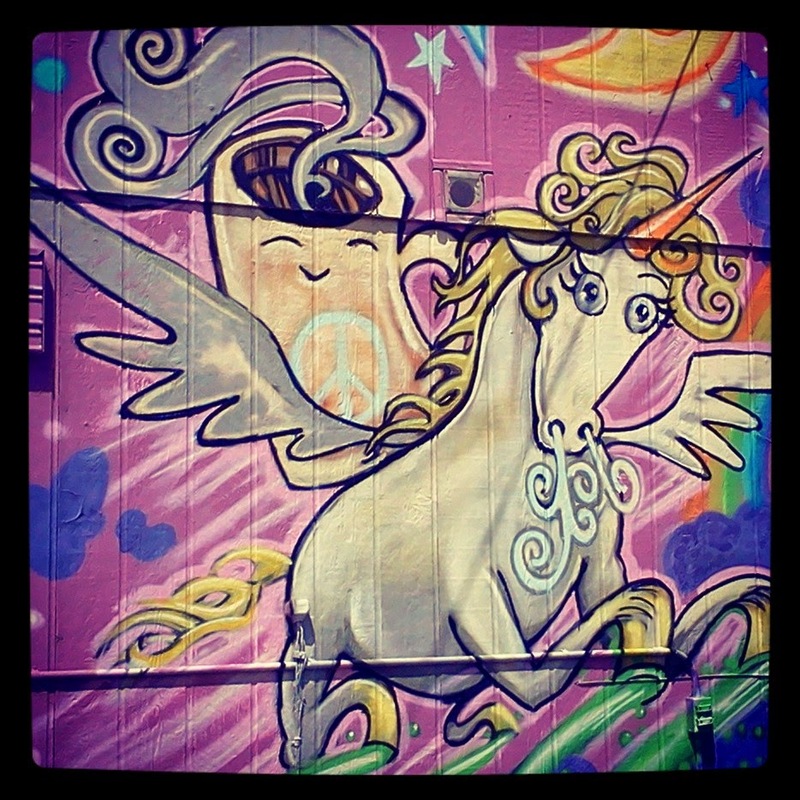 Are you on RVillage? Since this blog is so far behind (I'm trying to get current) I find that the mao feature on RVillage is a great way to see where my friends are right now. Yes, we are. 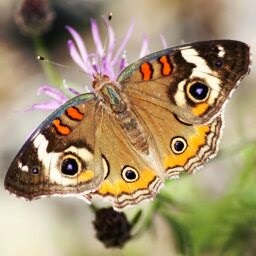 We're already "friends" on there and I follow you on FB, so I've seen your latest awesome Utah shots. We've been on the road 6 months now and the blog still isn't up. I actually have a good chunk written, but we need to edit the photos. I'm hoping to get it done this week after a big actual paying job is finished. I don't feel so bad when I see that you're not current either! Our site is http://www.DriveDiveDevour.com or you can find us on FB or instagram, too.